Νearpod is an extremely powerful presentation tool. 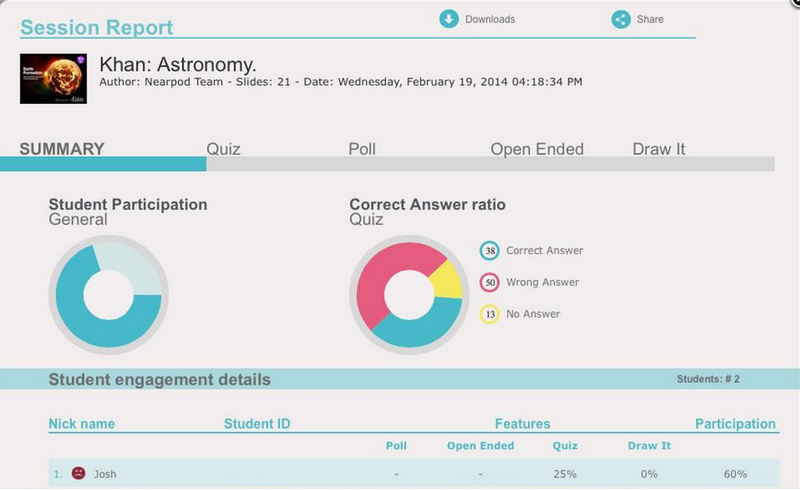 It allows teachers to create digital lesson plans, share it with students during class, and track individual progress. Lessons are comprised of teacher-created slides that can include text, video, images, websites, questions, quizzes, polls, and assignments. Teachers can use Nearpod effectively in the classroom to support student learning in a variety of ways. Give students opportunities for interaction and immediate feedback by having them draw on a map, respond to a poll question, post to a collaboration board, or take a multiple-choice quiz. Besides, teachers can incoroprate virtual reality trips and 360° views into their slides using the build-in capabilities the Nearpod offers. By watching videos and reviewing notes students can review the key concepts of the lesson. In addition they are able to follow the lesson on their own devices at their own pace or teachers can lead a synchronized session where students can follow the lesson in real-time. This way the learners become active participants in their education while teachers get valuable feedback on student learning. Nearpod augments the normal PowerPoint experience. Τhe presentation experience is enhanced by administering formative assessments to students as they work and allowing the teacher to monitor students as they take notes, draw or map concepts, answer quizzes and more. This is formal learning that uses the traditional classroom model and elevates it to include more interactive elements. To use this tool, the teacher must visit the Nearpod website and register.The teacher can either create the lesson from scratch or import an already made presentation in PowerPoint and then add the elements to enhance it. When satisfied with the created lesson, teachers can choose if they are going to lead the lesson or if students will complete the lesson individually. 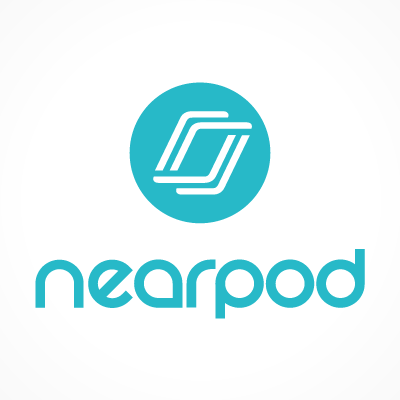 If they are going to complete it together, students will need to log onto the lesson by entering the lesson plan’s pin into the Nearpod app or website. If this option is selected, teachers will have the ability to monitor their students’ computer screens once they are logged in, which means whatever is shown on the teacher’s screen is also shown on the students’ screen. If students complete the lesson independently, they will be able to work on their own pace. If teachers include different activities and assessments, they will be able to view student achievement and work as students progress through the lesson. Teachers will be able to see student progress by clicking the group icon on the top left of the screen. Side note: Not all the content on Nearpod is free. A teacher may have to purchase a subscription to access all the content. However, the educator can still make and use a custom lesson with the students for free but some of the options are limited. Also, teachers are encouraged to use the “Explore” option to view lessons made by colleagues and then use them or modify them for their own needs.